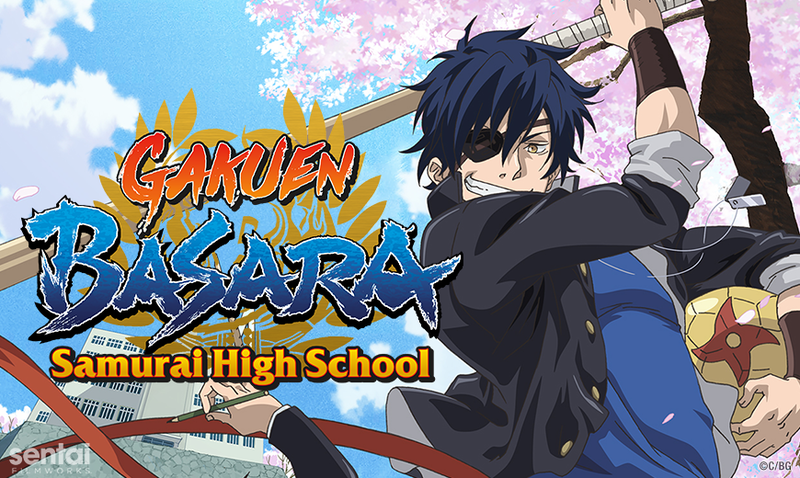 HOUSTON, TX October 1, 2018 – Sentai Filmworks announced today that it acquired exclusive rights to Gakuen Basara: Samurai High School, the spoof spinoff of CAPCOM’s wildly popular franchise, Sengoku Basara, for the USA, Canada and Latin America. Anyone who thinks warring samurai and violent power plays in feudal Japan were rough business must have missed Monday mornings in this modern high school! The winds of change have come for the students of Basara Academy. Due to the suspension of their current student council president, Hideyoshi Toyotomi, a new leader must be chosen. Two prominent first-year athletes prepare to battle for the chance to rule the school: baseball elite Masamune Date and soccer star Yukimura Sanada. However, it’s not all fun and games as the two also have to fight other rivals for the top spot. From fierce food-eating contests to brutal sports challenges, who will have what it takes to be the new student council president? The series is produced by Brain’s Base (My Teen Romantic Comedy SNAFU, Natsume's Book of Friends). Minoru Ohara (Neon Genesis Evangelion, Lupin III: Episode 0 ‘First Contact’ movie) will direct the series with Kouji Miura (Examurai Sengoku, Gunparade Orchestra) in charge of series composition. Character design is led by Haruhito Takada (Mr. Tonegawa: Middle Management Blues, Fullmetal Alchemist) and Naoki Aisaka (Naruto Shippuden, Mobile Suit Gundam Seed) as chief animation director. The series will soon be available to stream on select digital outlets for the Fall 2018 simulcast season with a home video release to follow.